Organizing your Christmas decorations can save a lot of time (and grief) next year! Many of you have already packed up your decorations, and many of you will probably tackle it this weekend. Last year, we were in such a hurry to take down our tree and decorations, that we just packed up as quickly as we could and didn’t really organize it very well. We certainly paid the price for it this year! We had a fair amount of construction going on in the month of December and just couldn’t decorate the whole house. Since we were limited, I had to try and find the right decorations and since they were not organized, I ended up having to open every box to find what I needed. Not fun. Once the boxes were back in the shed, we printed the list and hung it in a plastic sleeve for easy reference! This method was a life-saver when we moved out of state! I thought it was unnecessary as he was packing this way, but once we arrived, the trucks were unloaded and the boxes were placed in the corresponding rooms. Unpacking was a breeze and we were never searching for anything. This method is great for any items you have in storage. 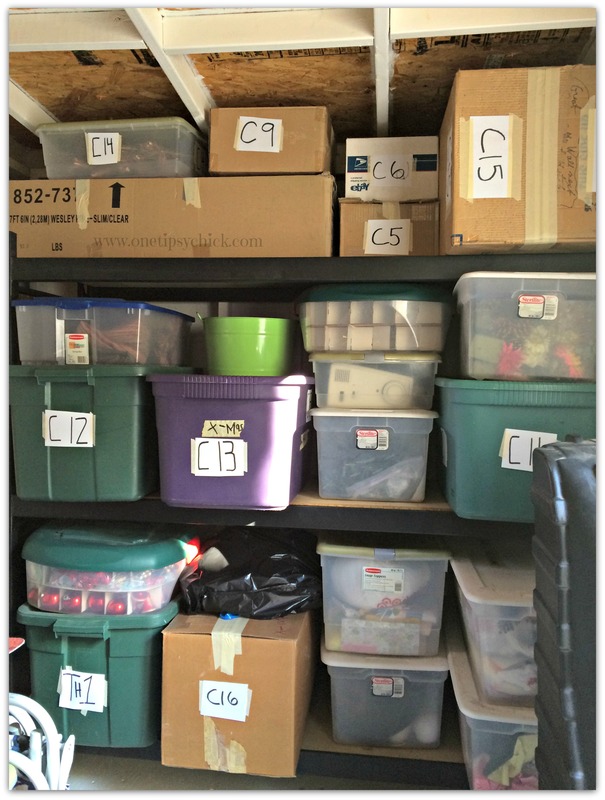 I know if you try storing your items this way, you will be so glad you did!